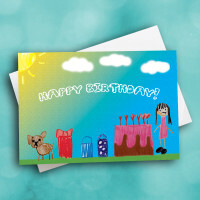 Send some unique birthday greetings with this childishly charming birthday card. 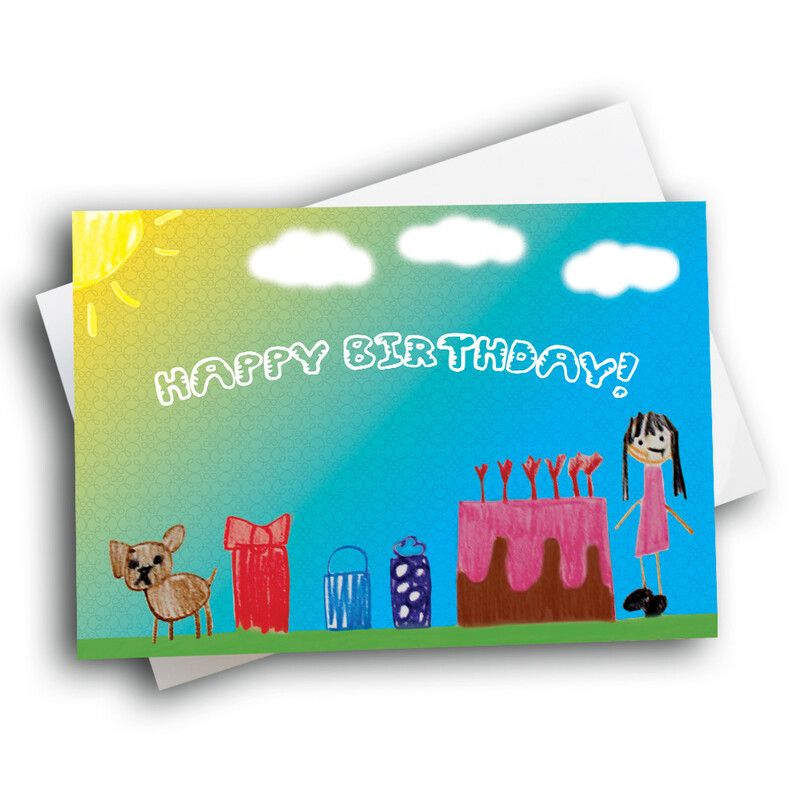 Nothing beats the artistic sweetness of a child's drawing, especially on a meaningful birthday card. 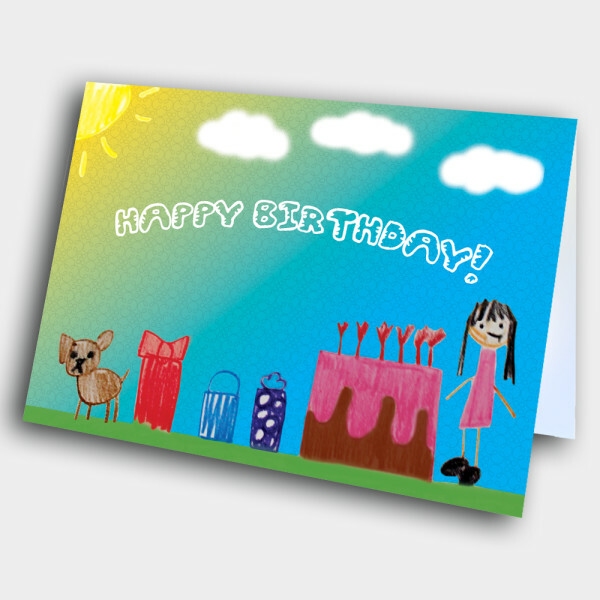 The front features a bright and sunny scene, with a girl and her dog and a bunch of presents; and of course, a giant birthday cake, with the bubbly birthday greeeting floating above. 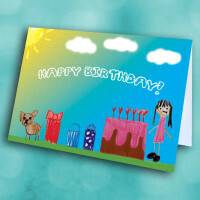 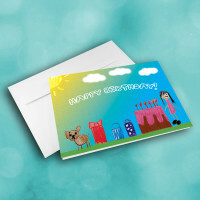 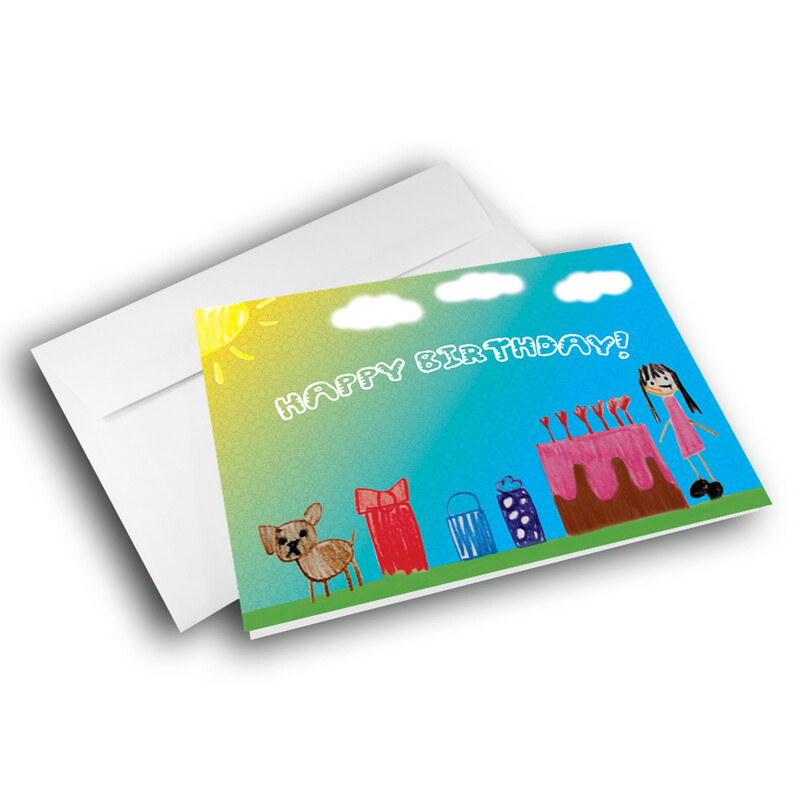 Add a custom message inside to make this birthday card personalized and special.